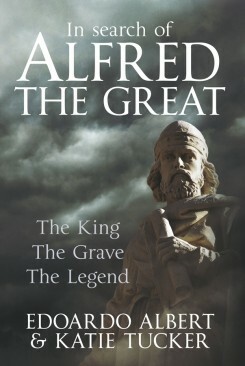 Buried in 899 AD as the King of the English at his capital city of Winchester, Alfred the Great’s bones were thought to have ultimately moved to an unmarked grave. His remains had been completely lost to us for centuries until researchers at the University of Winchester discovered what is in all probability a piece of his pelvis in a cardboard box. This exciting discovery has reawakened interest in one of our most notable monarchs. The only English monarch ever to have had the epithet ‘the Great’, Alfred’s reputation reaches down to us through the years. Christian hero, successful defender of England against the Vikings, social and educational reformer. There is a man and a life buried amid the myths. Within these pages, discover Alfred’s dramatic story.